Ok, so maybe I should have photographed this Mexican meat loaf before eating most if, but it was so delicious! Mix everything together thoroughly and press it all firmly into a big baking dish. Cook at 220 degrees Celsius for 50-60 minutes. Nom! 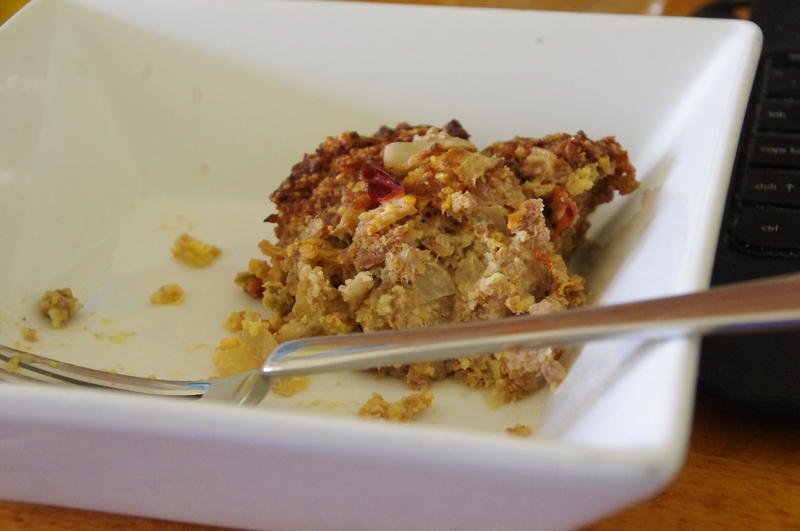 This entry was posted in Recipes and tagged gluten free, meat loaf, mexican.